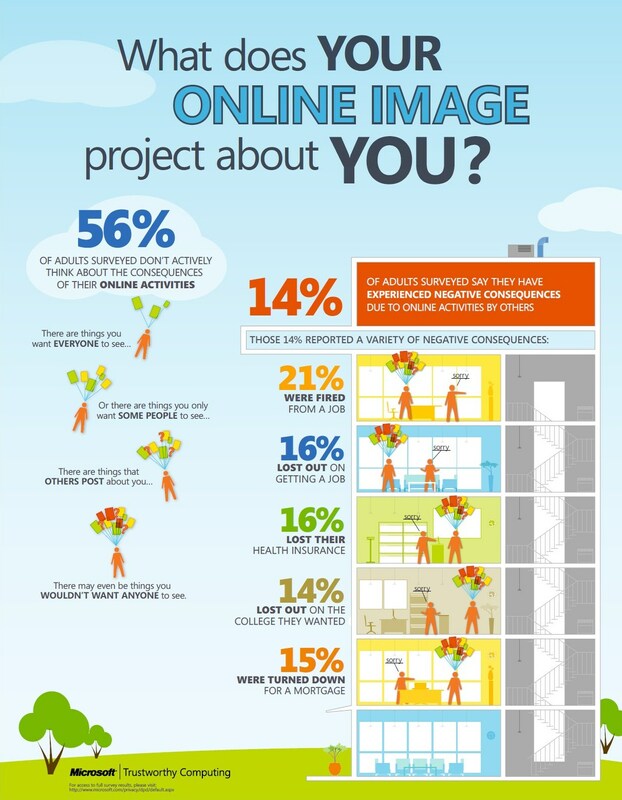 Online Reputation Management Infographic | Your Online Image | Orange County SEO Company, Inc.
Online reputation management is the controlling of your online presence and how potential customers view you and your website. It is a complicated process but it can pay off in brand loyalty, customer satisfaction and the neutralizing of negative reviews. Online reputation management is one of the key pieces in an overall marketing strategy that brings customers to your website and turns them into satisfied clients who will repeat their buying experience with you. Reputation plays a large role in which websites customers choose to visit, so it is very important to manage your online presence in such a way that potential customers see you as a trusted, reliable presence. This infographic discusses your e-reputation, giving points about how to keep your nose clean in the online arena. • What is your reputation online? It is your professional and personal presence online. 48 percent of employers now examine your social media and other online presences before making hiring decisions. You are what is on the web, so it is important to know how you are being portrayed and to deal with any negative portrayals swiftly by countering with more positive information or removing the negative connotations if possible. The easiest way to do this is by never posting anything you would not want a potential employer to see. • Why should you protect it? Once something is on the internet, you have lost control of it. 78 percent of recruiters check online sources when looking for potential job candidates. Eight percent of companies have fired someone for misuse of social media. Think before you place material on social media or any other type of website. Ask yourself how you would explain it ten years from now—because you may have to. • What are employers looking for? It is bad to have negative information about yourself online, but it may be worse to have no information. Employers are looking for a positive online presence. It is important to have an online reputation management method that will ensure your internet presence is clean. It is also important to fill cyberspace with positive information about yourself that is easily accessible to employers or potential customers. Most people will ignore one or two negative comments if the Internet is flooded with good things about your work, your company or you as an individual. • What can you do? Create and monitor a strong online presence. Post regularly to ensure that you stay on top of your online reputation. Solicit positive connections and comments that others will see. Deal with negative reviews immediately rather than ignore them. Take steps to remove negativity if possible; if impossible, deal with it through other methods. Be mindful that negative responses to negative information may have the opposite of its intended effect. If you are in need of an experienced online reputation management company, please contact Orange County SEO today for a free consultation. We can help you create and maintain a solid and reputable online presence for yourself or your company.